The Vedas are the most ancient scriptures in the library of man. The eternal laws of life and the universe expressed in these scriptures were revealed to seers and sages who devoted their entire lives to the realization of ultimate truth. These seers received this knowledge not through sense perception or the mind, but through inner vision directly from the source of intuition during the deepest states of contemplation and meditation. Other levels of knowledge give only a partial glimpse, but intuitive knowledge is self-evident and complete. Such knowledge derived from the center of consciousness through intuition is called shruti. Shruti means “that which is heard by the innermost ear of the sages and seers in the deepest state of contemplation.” It is used to refer to the verses of the Vedas and the Upanishads. The finest section of the Vedas is comprised of the Upanishadic literature, which is generally known as Vedanta. Vedanta means “the very end or culmination of Vedic knowledge.” Upanishad means “that which destroys the ignorance of the individual soul; that which guides the seeker toward the attainment of the highest wisdom; that which loosens our attachment to the material world and to the perishable self.” The Upanishads are said to be the epitome of Vedic knowledge and the treasure of the innermost experiences of the Vedic sages. Brahman is no different from oneself; all of humanity is Brahman. From this point of view, all people are essentially one and the same. Placing duality and diversity within humanity is the greatest loss, and realizing the oneness within and without is the highest gain. There are more than 200 Upanishads, and, of these, 108 are available to the common reader. Shankara, the most brilliant of the Vedantic philosophers and the architect of Advaita philosophy, chose 11 principal Upanishads for his commentaries. These 11 are considered to be the main source of Vedantic philosophy. The Upanishads prepare, inspire, and lead the seeker to know and realize the ultimate truth. The philosophy of the Upanishads first frees the student to cast away his intellectual slavery to blind faith, superstitions, sectarian beliefs, and dogmas. Then it helps him expand his individual consciousness to universal consciousness; thus the personality is transformed, and enlightenment dawns. An enlightened person knows himself as Brahman. The word Brahman is derived from the Sanskrit verb root brha or brhi, meaning “expansion, knowledge, or all-pervasiveness.” This word is of neuter gender; it indicates Absolute Reality beyond the concept of male and female and all other dualities. Brahman is omnipresent, omniscient, omnipotent; it is the very nature of one’s true Self. That Absolute Reality, that supreme consciousness, which is never affected by the ever-changing nature of the world, is Brahman. That which alone exists and allows the entire universe to appear within itself is called Brahman. That Brahman is no different from oneself; all of humanity is Brahman. From this point of view, all people are essentially one and the same. Placing duality and diversity within humanity is the greatest loss, and realizing the oneness within and without is the highest gain. The veil of ignorance covers human consciousness on three levels: the states of waking, dreaming, and deep sleep. Unless the veil over all these levels is lifted, the light of pure consciousness cannot shine. 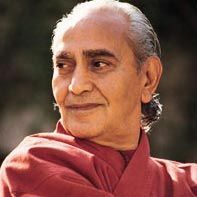 From the heights of enlightenment, the individual is aware of all states—waking, dreaming, and deep sleep—yet remains in the state beyond, turiya. Attaining knowledge of Brahman directly from within is enlightenment. The human mind is in the habit of experiencing and projecting pains and pleasures, but when it is made aware of the everlasting truth, it starts seeing things as they are. The mind identifies itself with the objects of the external world and thus places a veil between the aspirant and the Absolute Reality, but the moment this self-created veil of maya (illusion) is removed, one attains freedom. Without utilizing the concepts explained in the teachings of Upanishadic philosophy, it is impossible to resolve the bitterness of racial discrimination, male and female chauvinism, ethnocentric egoism, and intellectual slavery to religious dogma and superstitions. Unless all people extend their hands to help one another, to share with all, and to communicate with all, humanity cannot be called a civilized species. The veil of ignorance covers human consciousness on three levels: the states of waking, dreaming, and deep sleep. Unless the veil over all these levels is lifted, the light of pure consciousness cannot shine. From the heights of enlightenment, the individual is aware of all states—waking, dreaming, and deep sleep—yet remains in the state beyond, turiya. Before casting off the body, an enlightened person lives in the world yet remains above. He sees himself in the whole cosmos and the whole cosmos in himself. His self becomes the Self of all. This direct experience of the oneness of all, of loving all and excluding none, is called Brahmavihara—frolicking in Brahman. This realization cannot be attained through mere reasoning or through the intellect; nor can it be attained through mere study of the scriptures, listening to teachers, or mechanically repeating prayers. The Upanishads say that only the fortunate one to whom the knowledge of the Self is revealed can experience the joy and bliss of enlightenment. Unless a student opens the petals of the heart, knowledge of the divine experience is never revealed. Sincere effort with perfect surrender to the Absolute Reality is the way to welcome the dawn of eternal knowledge and peace. The Upanishads are not religious scriptures, but they can provide the foundation for universality through the practical philosophy of equality, equanimity, love, and universal brotherhood. Modern man is trying to improve the quality of life and achieve the next step of civilization. But without utilizing the concepts explained in the teachings of Upanishadic philosophy, it is impossible to resolve the bitterness of racial discrimination, male and female chauvinism, ethnocentric egoism, and intellectual slavery to religious dogma and superstitions. Unless all people extend their hands to help one another, to share with all, and to communicate with all, humanity cannot be called a civilized species. When humanity follows that universality based on the Upanishadic philosophy, there will be no need for discipline enforced by the state, for codes of conduct, or for courts and churches. People will be self-disciplined and will progress constantly toward self-enlightenment and the flower of humanity will blossom.